It took two years and over $30 million dollars to address the Nitrate problem in Columbus, Ohio; despite authorities initially blasé attitude about the contaminant, their grudging installment of a costly new ion exchange water treatment system is cluing people in to just how much of a problem nitrate in water can be. As with many contaminants, some nitrates are alright and even healthy to ingest. Our bodies need a certain amount of the inorganic nitrates found in spinach and other dark leafy greens. The stuff found in spinach, however, is not what doctors are warning about. Man-made nitrates, and even too much of the good stuff, come with major consequences, so the EPA has set an MCL or “Maximum Contaminant Level” for the chemical. MCLs are enforceable, which goes to show just how serious nitrate contamination can be (not all contaminants have enforceable standards set). In the U.S., water must have less than 10mg/L of nitrogen (or 10 parts per million). If the standard is exceeded, then consumers must be notified. As with the City of Columbus, however, a momentary advisory might not mean a permanent fix is enforced. The scary part is, that unless a specific test is performed, there is virtually no way to detect Nitrate. It is odorless, colorless, and tasteless. While the EPA requires routine testing for Nitrates, daily levels are not assessed. 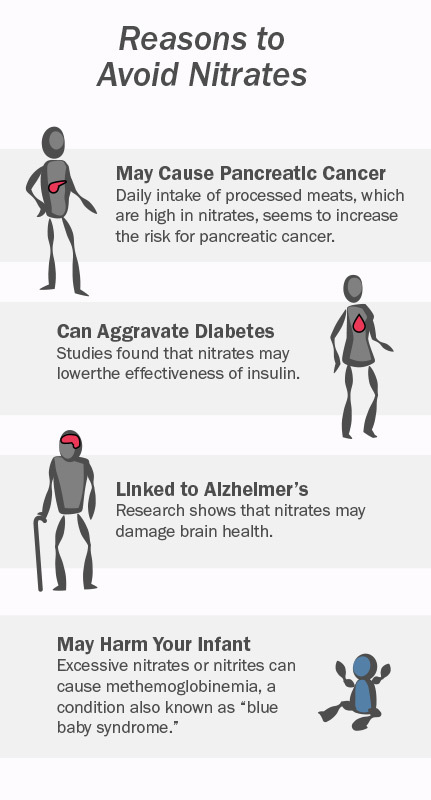 You may have heard about the ill effects of nitrites during a pregnancy or that of a friend’s. Exposure to the toxic chemical can have alarming and even life-threatening consequences, especially for unborn and newly born babies. While proponents of nitrate-use will claim that it only effects pregnant women and babies less than six months old, this isn’t strictly true. Adults who lack certain enzymes, have insufficient stomach acid due to a medical condition like food allergies or asthma, or eat a diet high in good nitrates (such as vegans and vegetarians) are also at risk. Unfortunately, avoiding pre-packaged deli goods is not enough to protect yourself from this harmful contaminant. Nitrates of the “hot dog” variety rarely make it into water supplies, but several other noxious nitrates do, and often. The EPA explains that nitrates can be introduced into water supplies in a number of ways, including run-off after heavy rains, as a result of leakage from septic tanks, proximity to sewage, and sometimes through erosion of natural deposits. The World Health Organization reported in 2011 that “Nitrate concentrations have gradually increased in many European countries in the last few decades and have sometimes doubled over the past 20 years,” citing “the increasing use of artificial fertilizers, the disposal of wastes (particularly from animal farming) and changes in land use…” as the main factors responsible for the increase. In the U.S., one nitrate compound is used in fertilizer, which, big surprise, often runs-off into rivers and streams and contaminates water supplies. The fertilizer nitrate is less prone to turning babies blue, but don’t breathe a sigh of relief just yet, this also-toxic chemical is known to cause cancer. Fertilizer is believed to be the main cause behind the nitrate spikes in Columbus, with advisories being issued after spring rains in both 2015 and 2016. Since it’s unreasonably difficult to get companies to stop putting toxic chemicals in their products, citizens are left scratching our heads and wondering how they’re supposed to avoid ingesting contaminants. When heavy rains contributed to three nitrate outbreaks in three years, the City of Columbus employed a known solution. The $35 million dollar ion exchange system, according to Matt Steele, the water supply and treatment coordinator of the city’s Public Utilities department is “similar to in-home water softeners” in that it utilizes ion exchange to remove nitrate. 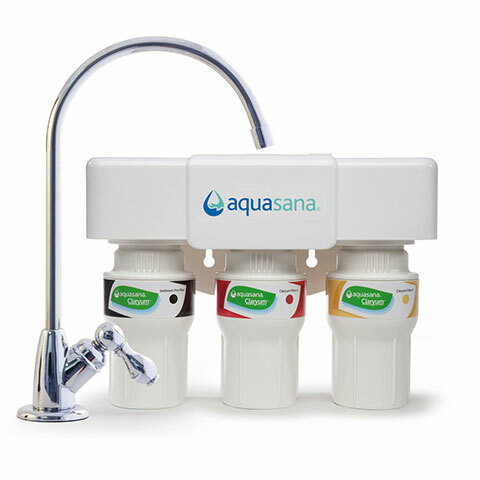 The efficacy of home water systems in removing Nitrates is thanks to several different treatment methods. As with the large-scale system in Columbus, ion exchange can be utilized. 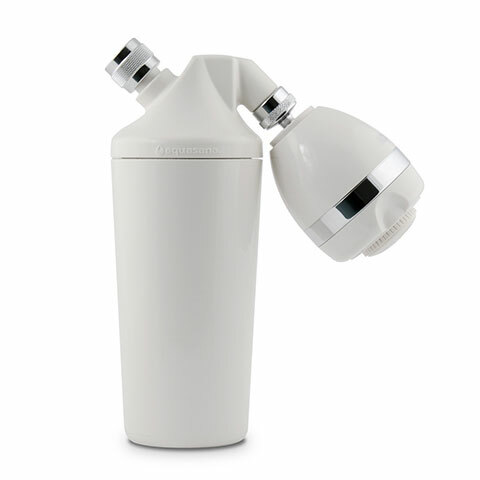 Reverse Osmosis can also be effective in removing nitrogen as well as electro-dialysis. 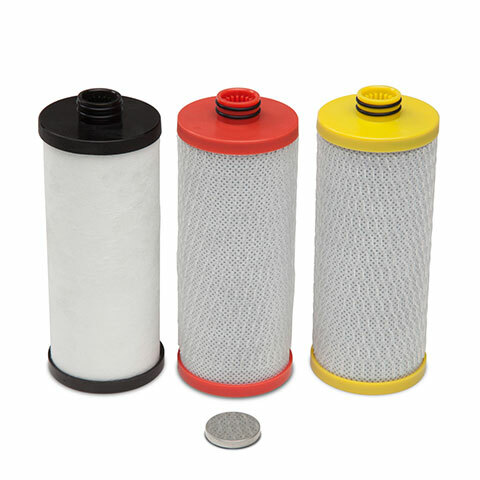 Method specific water filtration systems can be effective, but an at home filtration system that includes several treatment steps can filter out nitrates even more reliably.